Ever wondered why your competition is ranking better than you in Google? Have you tried improving your SEO, but found yourself in a position where nothing works and your website’s traffic is stuck? In this post, I’ll show you how to dramatically improve your SERPS and ultimately, outrank your competition. Simply by following a correct strategy you can rank in the top results in Google for your most relevant keywords. Here’s how you can get started. Doing a website audit manually could be time-consuming, especially if you have hundreds or thousands of pages. 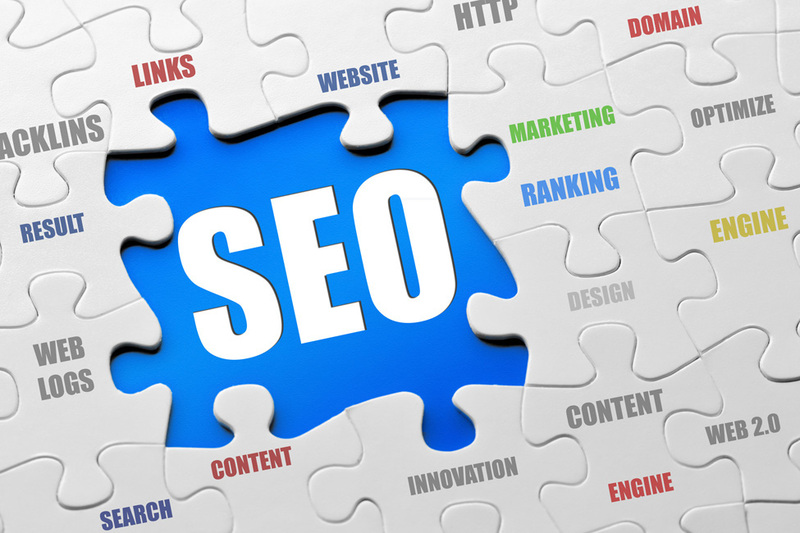 Luckily, there are numerous SEO tools that can ease things up for you. 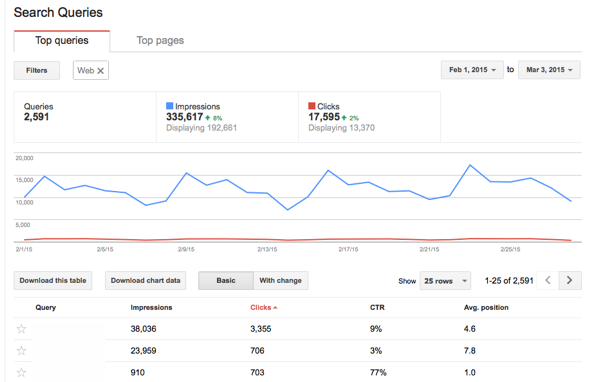 The free tool from Google can give insights about your website’s SEO performance. You can determine if your website has 404 errors, indexation, or crawling issues. From the ‘Search Queries’ section, you can find the keywords that are performing best and sending the most traffic. By default, Google Webmaster Tools sends you alerts when your website is experiencing SEO problems. 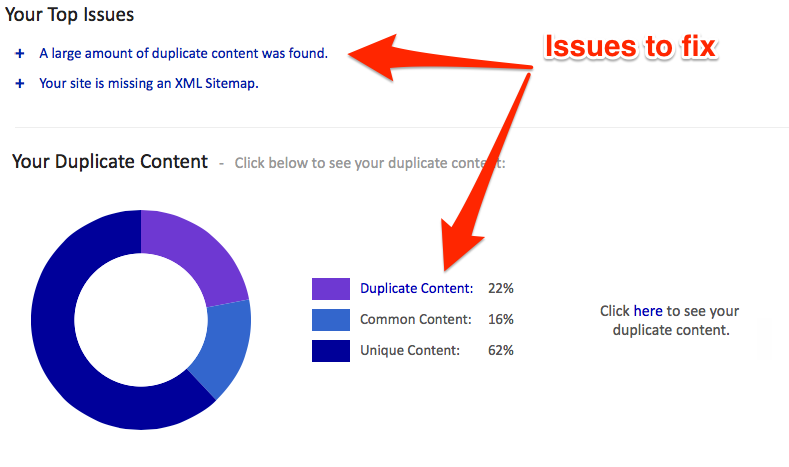 Use this tool to get in depth information about content duplication problems on your website. With SiteLiner, you can also find broken links and identify on-page SEO issues.If I have a website with duplicate content problems, I can either remove the paragraphs that are not unique or rewrite them. Alternatively, if you enjoy using downloadable tools, Screaming Frog is the right one for you. The tool crawls your website and looks for your titles, descriptions, content, and interlinking issues. From the below screenshot, for example, I can see I have 25 duplicate titles and numerous others that are too long. Get your detective magnifying glass because you will have to spy your competition. Being successful with SEO means you also have to be a web detective. To understand why your competitors are ranking above you in SERPS, you have to look at their backlinks and try to replicate the ones that are valuable. For more than ten years, backlinks have been the primary ranking factor in Google and they will still continue to be, at least for the coming years. By checking what websites are linking to your competitors, you can determine why Google considers them more authoritative than you. You can check your competitor’s backlinks using SEO tools like Ahrefs, Moz or Majestic. However, for some users, the complexity of these tools can be overwhelming. If you want to try a new tool with some great spying features, you can use Monitor Backlinks. By adding your four most important competitors, you get a list of all their backlinks, sorted by their value. To decide if a backlink is of high quality, you can compare Ahrefs Rank and MozRank, from the backlinks column. Unlike other SEO tools, Monitor Backlinks automatically checks your competitor’s backlinks and sends you a report every ten days with all the links they have built or earned recently. If you can get the majority of the websites that are linking to your competitors to link to your website, you will eventually outrank them in Google. Keep in mind that you should not replicate low-quality backlinks. At the beginning of this article, I mentioned you have to deserve to rank high in Google. This involves having better content than your competitors. Try to scale their best posts and write astounding detailed guides. In the end, the best content will win. When starting to write a new article, always do keyword research and identify the keywords that can bring you the most traffic. Use Google Keywords Tool to find keyword suggestions based on user’s searches. Keep your keywords density at a good standard and remember to write for your readers, not for search engines. If you want to know what keywords are performing best for your competitors, you can also use SEMRush. The tool gathers accurate information from the Internet and gives you a list of the most important keywords of your competitors. 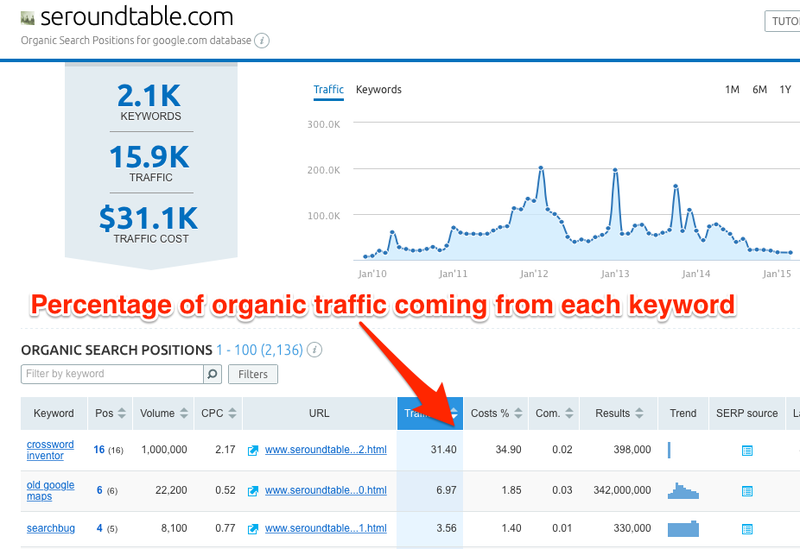 Most importantly, it tells what percentage of traffic is coming from each keyword. By using this method, you can find new content opportunities that you haven’t thought about before. To be one step ahead of all your competitors, you have to know what works best for them. 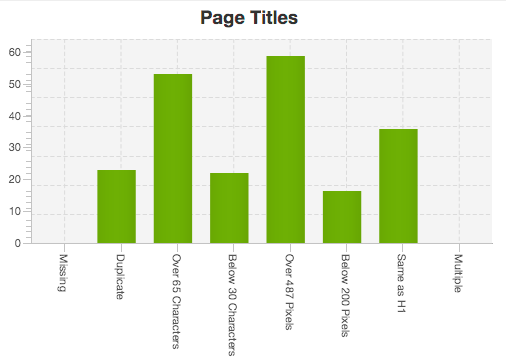 Needless to say, more content equals more chances of ranking for different keywords in Google. By posting new content on a regular basis, you are also telling Google that your website is still alive and not abandoned. 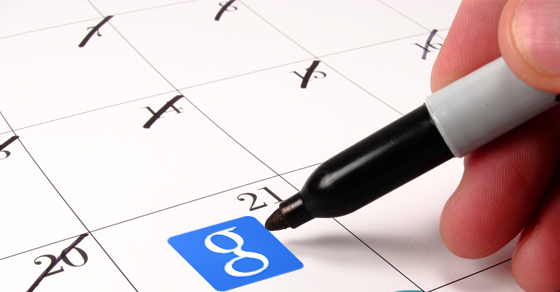 When Google crawls your website, it searches for fresh or updated content. The last thing you would want is to tell Google you haven’t done any changes to your website for a long period of time. A smart way to update old content is to engage with your users in blog comments. Moderate comments and filter spam as much as you can. Also, engaging with your users can help you to build relationships with them. You can seriously leverage SEO by fixing all your website’s issues and by replicating what works best for your competitors. Be better than your competition in every respect and you will outrank them in Google. Felix Tarcomnicu is an experienced SEO and online marketer. He has been involved in SEO for more than 8 years. Connect with Felix on his blog, or on Twitter. Nice one. I am going to use these tips. Ultra helpful blog… i really thought i had no broken links… siteliner proved me otherwise!